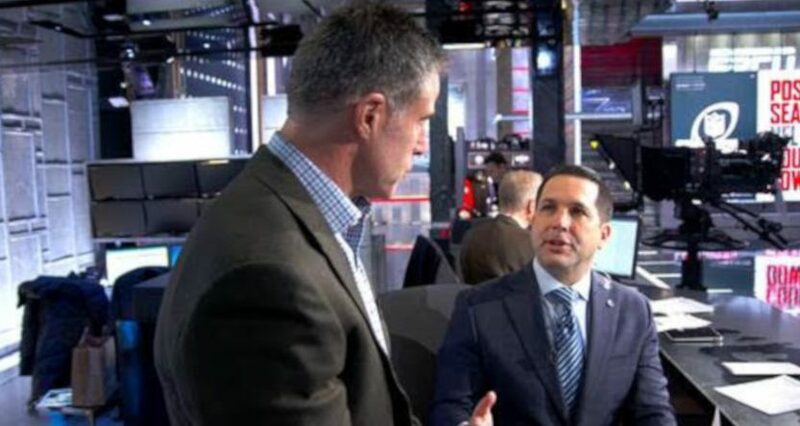 The full segment is well worth a watch, and the other areas it dives into (Schefter’s day-to-day travels from the New York City suburbs to ESPN’s NYC studios to Bristol and back, how ESPN decided to provide him with a regular driver, his marriage to a woman whose husband was killed in the 9/11 attacks and the book he’s since written about his wife’s ex-husband, and his previous correspondence with Frankel over dating someone who was widowed in those attacks) are all quite significant. It’s also notable to see the times Schefter puts HBO’s filming on pause to take a call or a text, something he’s also done with ESPN shows. At any rate, this is quite an interesting look into Schefter and his life, and it’s worth a watch for those interested in the role he plays at ESPN. The Real Sports episode with Schefter airs on HBO Tuesday at 10 p.m. ET/PT.